Srinagar: United Nations Secretary General Antonio Guterres called upon India and Pakistan to resolve their differences through “meaningful mutual engagement”. This is the second statement issued by the UN secretary general on the rising tensions between India and Pakistan in the aftermath of a suicide bombing attack in Pulwama that left 49 CRPF personnel dead and several others injured. Jaish-e-Mohammad militant outfit claimed the attack and India blamed Pakistan for perpetuating the attack, a charge denied by Pakistan. 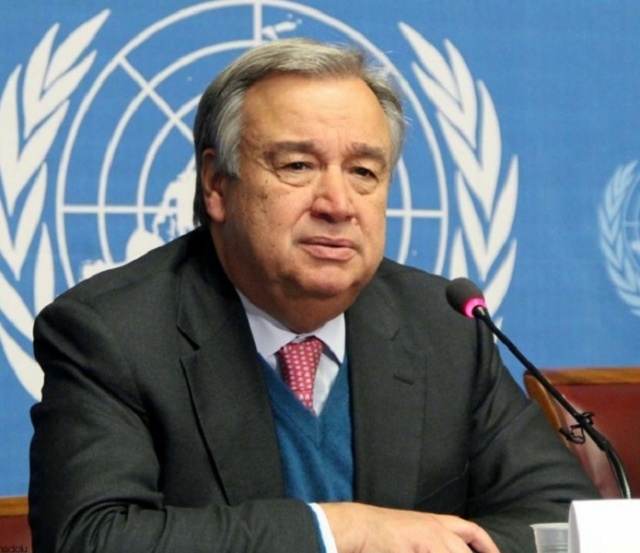 Guterres condemned the attack yet again and said that the perpetrators of the attack should be brought to justice. On Tuesday, Guterres had urged both countries to “exercise maximum restraint and take immediate steps to de-escalate tensions”. He offered his “good offices” to ease tensions. Tensions rose between the neighbouring countries after India held Pakistan responsible for the attack and hinted at military action. Pakistan strongly denied the allegations, calling for investigation and expressed grave concern.